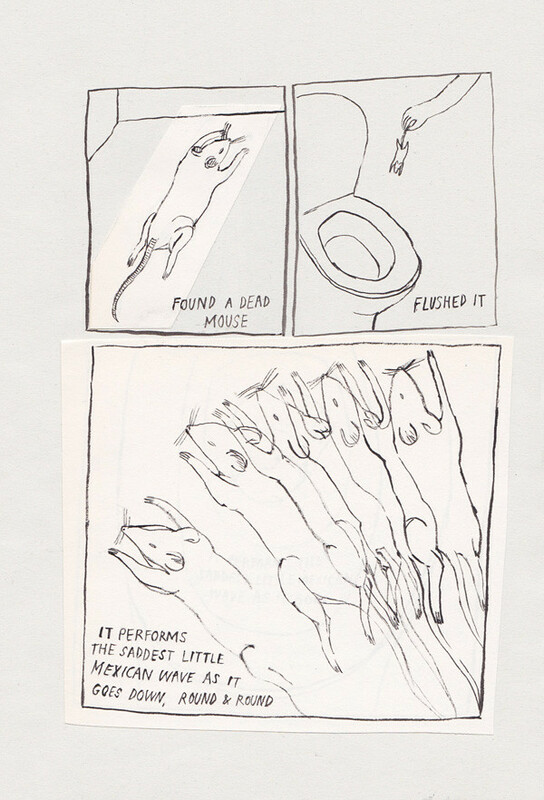 The slow, sad rotation of a mouse, with arms outstretched, in a toilet bowl. This happened over a year ago, but re-enacting the mouse's farewell still makes me laugh. I did this once thought the mouse was dead . . . and then it started swimming in the vortex of the flush . . . then I had to rescue said dead moude before it drowned.